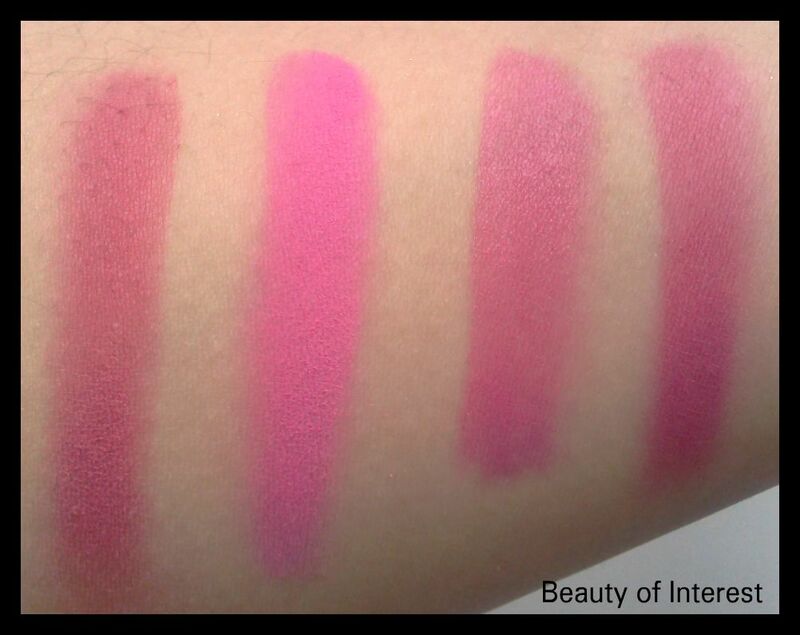 For Spring 2013, there were 2 ne w blushes released and one of them is called Hydrangea Pink. When I first saw the promo pics, I wasn't convinced but since it's a bright cool toned pink and I'm also such a blush h00r of course I had to get it. The packaging is just the same as the regular blushes, a sturdy metal case that will not break as easily as a plastic one. 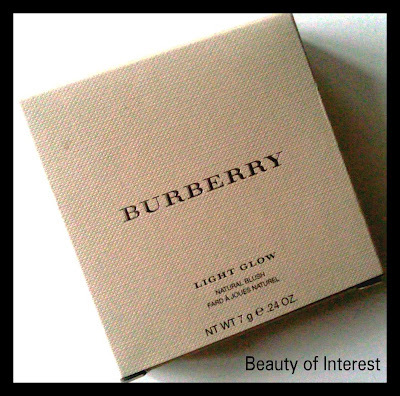 The Burberry logo is also imprinted in the blush which is typical for all Burberry items (including clothing) which gives it a luxurious touch to it. 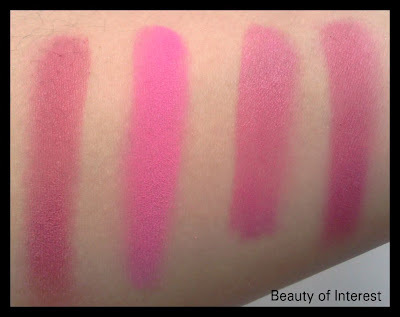 Texture is like the rest of the blushes very smooth and silky. 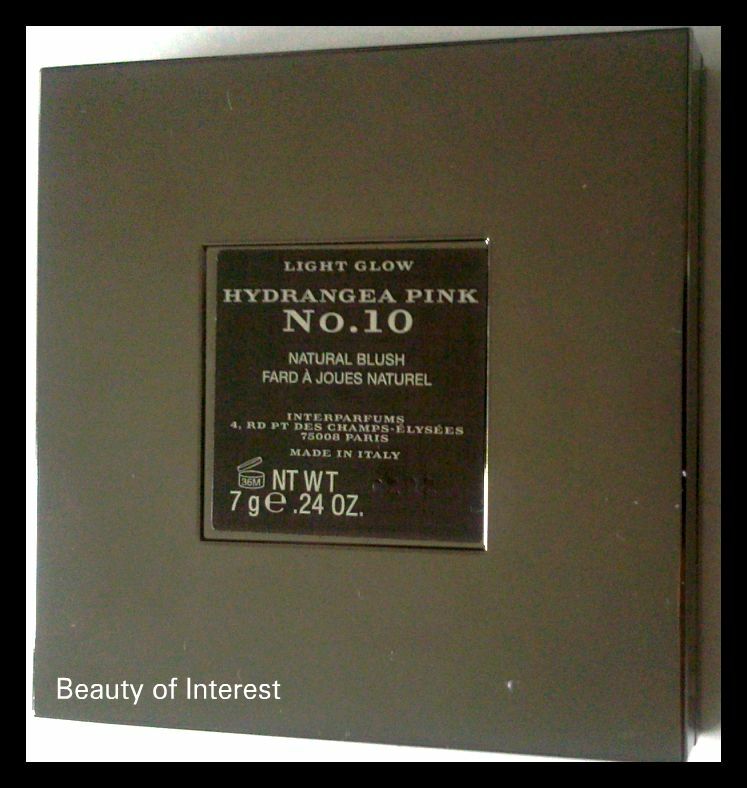 Pigmentation is great and can be sheered out of build up to the desired effect. Here is Hydrangea Pink compared to other colours that might be simular. I must say that Tom Ford Narcissist is a very close dupe although I prefer the texuture of Burberry. My inital thoughts, is it a very unique colour? 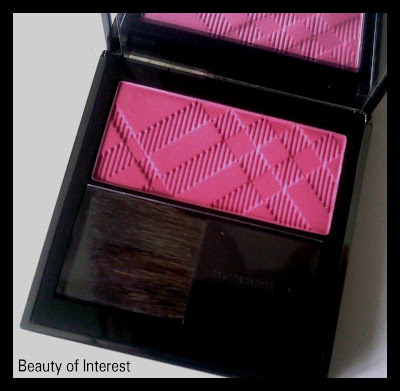 No I'm sure there are other simular colours out there but if you love the Burberry texture, this is definitely worth getting. Generally I found that the shade range of Burberry blushes is pretty basic but it's the sublime texture that makes people want to buy them. Women who are looking for safe neutrals that can be worn on an everyday basis are the typical targeted customers of Burberry. Burberry blushes retails for $42 USD/ 36 EUR and can be purchased at their counters at Nordstroms, Harrods and Saks and also online on their website.